Can I Use Beeswax on My Dreadlocks? Beeswax is a natural, organic compound that’s commonly used in hair products. 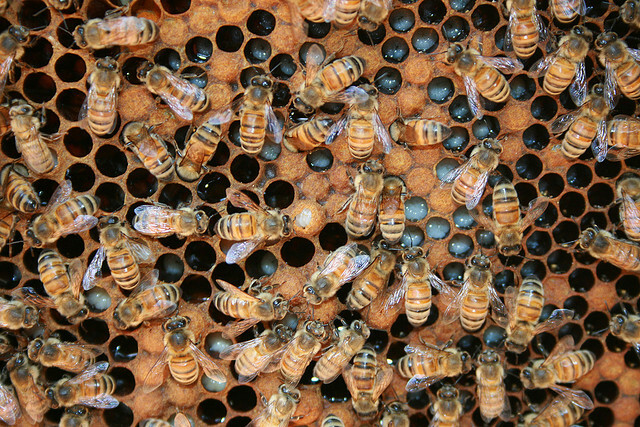 It is formed by worker bees that secrete the wax in the hive. The workers then collect the wax, using to create supporting structures within the hive. In addition to candlemaking, beeswax is also used for hair styling and care products. So, is it okay to use on dreadlocks? The chemical makeup of beeswax consists primarily of fatty acids and long-chain alcohols, meaning it offers a superior level of protection against dehydration. When dreadlocks lose their moisture content, they become susceptible to damage such as split-ends, breakage, and frizz. Problems such as these are easily avoided, however, by applying a moisturizing product like beeswax to your dreadlocks on a regular basis. The fatty acids within the beeswax will coat your dreads, locking in the moisture content so they don’t dry out. Beeswax is also safe and environmentally friendly. With some of the hair care products on the market, you really don’t know what they contain. The list of ingredients may include dozens of hard-to-pronounce names, some of which may have been produced in a lab. Of course, there are also some potential disadvantages to using beeswax on dreadlocks. For starters, beeswax has a tendency to leave a thick residue behind. Over time, this residue will built up and begin to weigh down your hair, creating a messy, unflattering appearance. You can prevent this from happening by limiting your use of beeswax and washing your dreadlocks at least once per week. Beeswax may harbor dirt, dust and lint — more so than other products. This is due to the fact that beeswax is inherently sticky, and anything that comes into contact with it will often stick. Lastly, because of its high melting point, beeswax doesn’t wash out easily. According to Wikipedia, water alone, regardless of temperature, will not effectively remove beeswax from your hair. You must also use a special type of shampoo to help strip it from your hair. Applying beeswax to your dreadlocks will help protect against dehydration and the problems it causes. On the flip side, though, it can lead to other problems like the accumulation of dirt, dust and debris. If you are going to try beeswax on your dreadlocks, make sure you have the right shampoo to wash it out.